Your choice of cookies or Cookie Sticks wrapped in cellophane and arranged in a variety of baskets, bowls, boxes, bags, or trays. 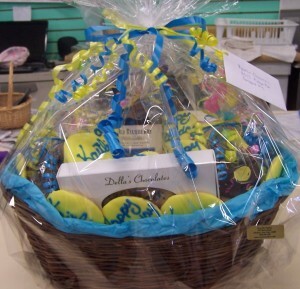 Your choice of a decorative gift box filled with cookies or Cookie Sticks. You can choose the size order to fit your needs, from one dozen up to four dozen! A coffee mug for every occasion filled with Cookie Sticks and Hershey’s Kisses! Simply elegant! Your choice of cookie, placed on a stick! 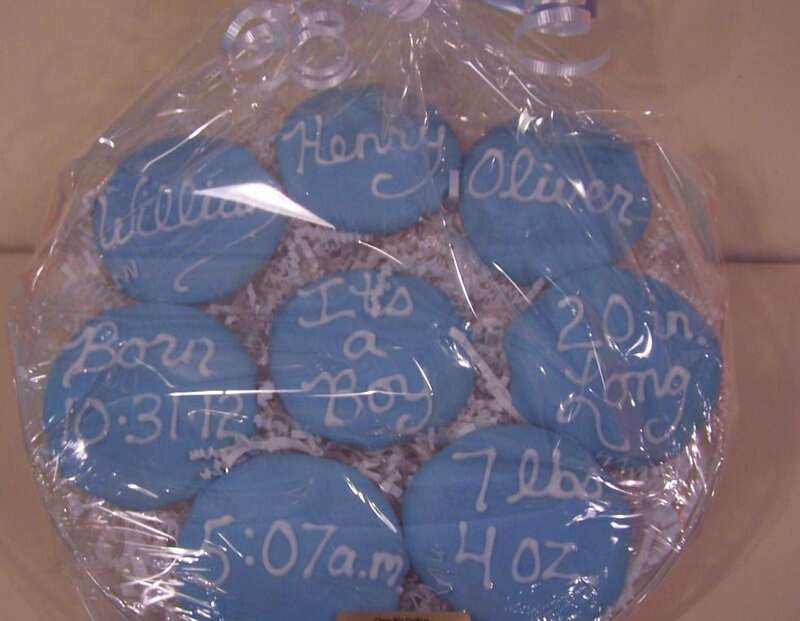 Announce the “new” arrival with a personalized plate of frosted cut-outs!! Parents love it!!! Helium filled balloons to brighten any occasion. A perfect pick-me-up! 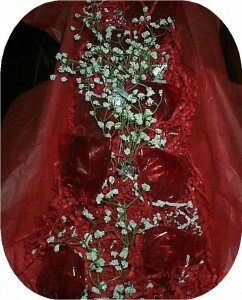 Assorted sizes customized for each customer. Cookies (assorted regular and/or cut-outs) and brownies. We can also arrange to get Fresh ground coffee from The Book Shoppe, Chocolates from Della’s Chocolates and Flowers from Creekside Floral. All local shops here in Medina. Call for more details!